BRYAN EATON/Staff photo. 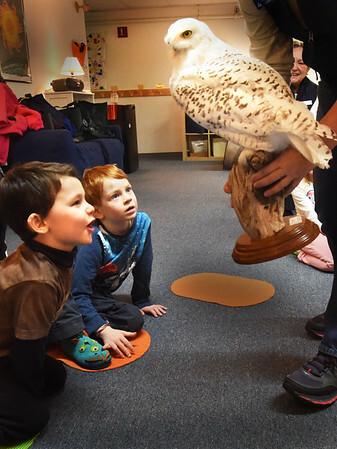 Youngsters are amazed by a stuffed snowy owl, which succombed to injuries and is used for educational purposes, at the Newburyport Montessori School on Tuesday morning. Presenters from Audubon's Joppa Flats Education Center brought the program "Eagles and Owls" to the school teaching the students about the birds of prey.